CLEARANCE! My Little Pony Equestria Girls Neon Rainbow Rocks Fluttershy Doll ONLY $4.97 + FREE Pickup (WAS $13)! You are here: Home / Great Deals / CLEARANCE! 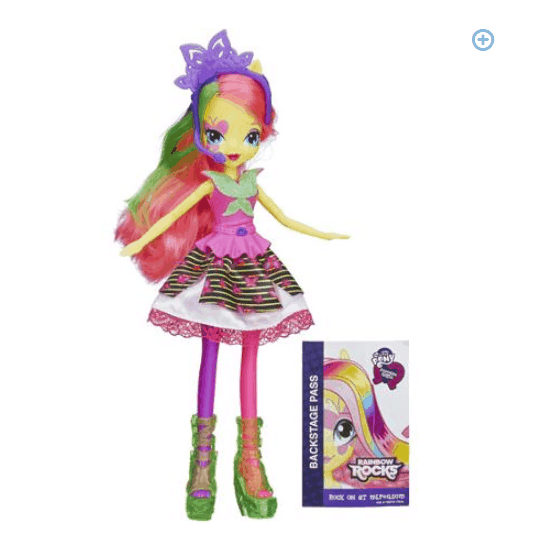 My Little Pony Equestria Girls Neon Rainbow Rocks Fluttershy Doll ONLY $4.97 + FREE Pickup (WAS $13)! Check out this awesome CLEARANCE deal I found on the My Little Pony Equestria Girls Neon Rainbow Rocks Fluttershy Doll, marked down to ONLY $4.97 + FREE Store Pickup (WAS $13)!